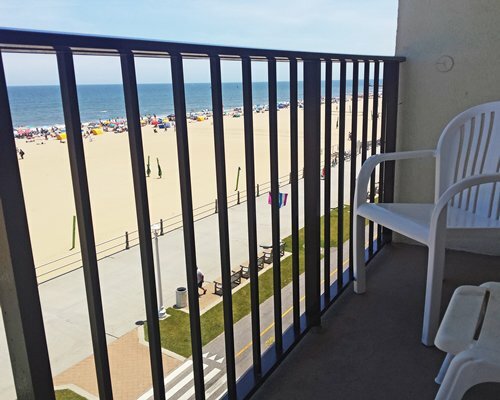 After enjoying some of the many attractions and activities that Virginia Beach has to offer, wind down in our hot tub overlooking the spectacular Atlantic Ocean. 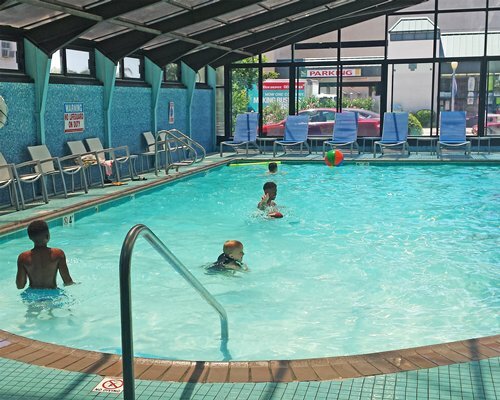 Kids who crave excitement can enjoy a splash in the heated, sunroof indoor pool. A relaxing, moonlit walk on the beach, serenaded by ocean waves, is the perfect end to a perfect day. If you prefer a little more action, some of the area's most renowned restaurants are within easy walking distance of Barclay Towers and serve up a combination of delicious food and lively nightlife! 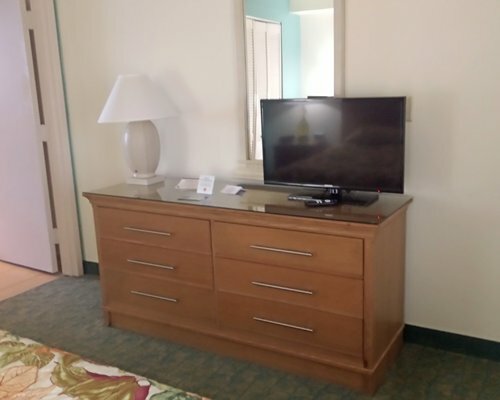 Barclay Towers truly offers something for everyone! 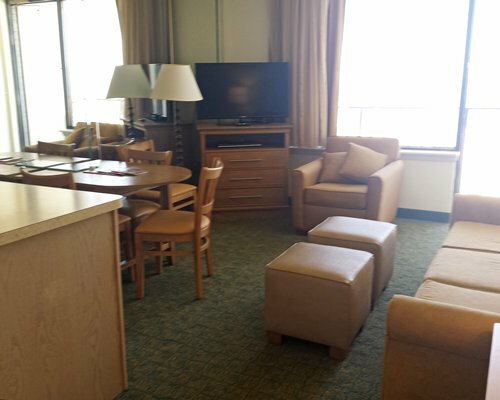 Hot Breakfast Buffet is available to RCI guests from May-September for $119.00 for the unit for the week. 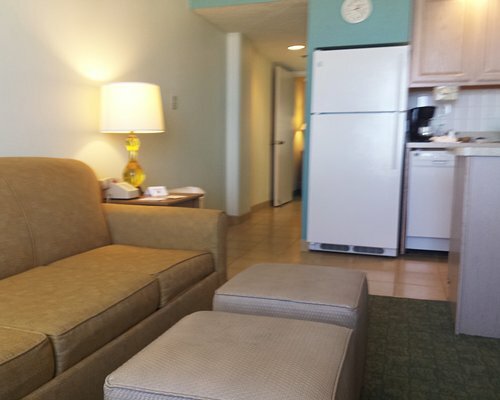 A continental breakfast is offered from October-April at $59 for the unit for the week. Barclay Towers offers free parking for ONE vehicle conveniently located in the garage directly across the street from the resort. Additional vehicles will need to utilize paid parking in the City garage. 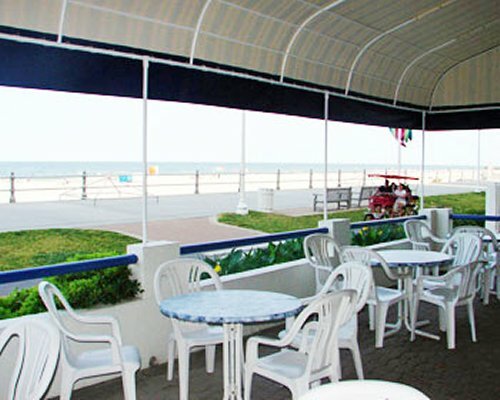 Each lovely two-room unit faces the magnificent oceanfront and offers a view of the historical Virginia Beach boardwalk. Watch the sun rise or set from a private balcony offered in all accommodations on floors two through eight. 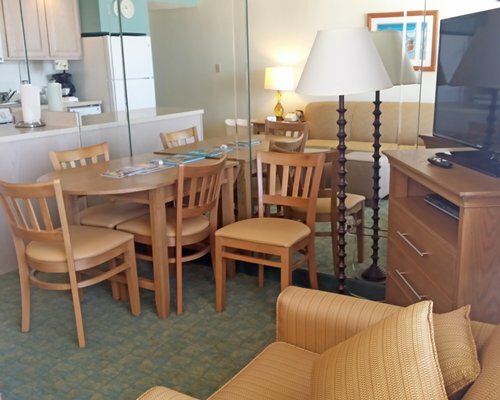 Each smoke-free room is furnished with a full kitchen and four-seat dining room area with place settings for six. 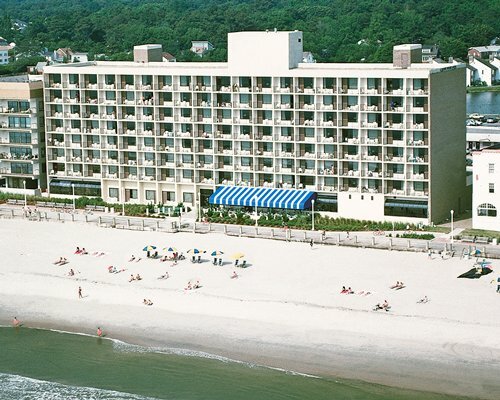 Whether you're an adventure-seeker or history-buff or simply love the ocean, you've come to the place that has it all. 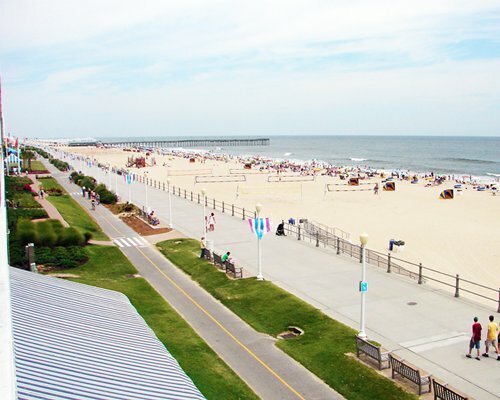 Virginia Beach boasts award-winning amusement parks located only several minutes from Barclay Towers and historic museums that are only a short car ride away. Grab your kids and spend the afternoon marveling at the shark, barracuda, and other oceanic species at the Virginia Marine Science Museum, less than two miles from the towers. 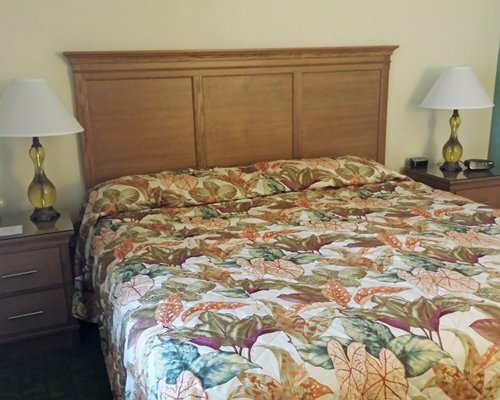 Minor construction or remodeling may disturb guests from February 1, 2019 to April 30, 2019. 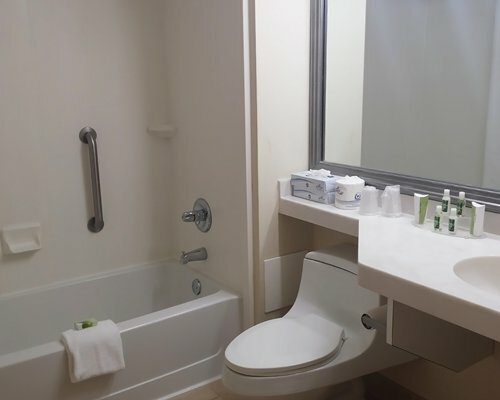 Bathrooms will be remodeled from Feb 1st thru end of April.